Liechtensteinische Landesbank (LLB) and its subsidiary LLB Invest have launched an investment advisory solution underpinned by the Avaloq and the swissQuant Group software. LLB Invest uses the Avaloq Banking Suite for its software needs – the solution has been running at LLB since 2008 as its main core banking system. SwissQuant Group provides risk analysis and portfolio optimisation for the new offering. The new investment advisory service targets both private and institutional investors. Two advisory models are available – LLB Consult and LLB Expert – as well as LLB Comfort asset management. Dr Kurt Mäder, group COO of LLB, says LLB Invest is a “milestone in the implementation of our digitalisation strategy”. LLB says the new solution makes use of all channels, from personal contact with the client advisor to the delivery of investment proposals via LLB mobile banking. The launch is part of LLB’s StepUp2020 strategy, as it aims to achieve innovations and “profitable growth over the coming five years”. LLB is the “longest established financial institute” in the Principality of Liechtenstein, and the tiny double-landlocked country holds the majority of the company’s share capital. It has 816 employees and the LLB is represented in Liechtenstein, Switzerland, Austria and the United Arab Emirates (Abu Dhabi and Dubai). 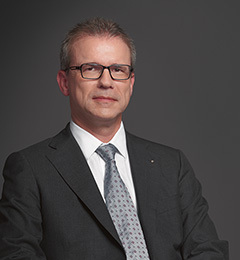 LLB Group manages a business volume of CHF 56.6 billion ($58.4 billion).